For most peanut farming families, peanut butter sandwiches are a daily meal out in the fields. 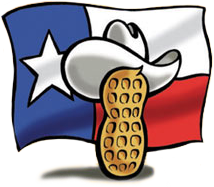 Whether it’s with honey, jelly or just a spoonful of their favorite peanut butter, most farmers love to eat what they grow. For the Furgeson family, things weren’t that simple on their 1000 acre peanut farm. Anthony and Traci Furgeson have been growing peanuts, grapes and a few other rotational crops to provide for themselves and their growing families. Traci helps produce Farmhouse Vineyards while Anthony spends most of his time out in West Texas fields. 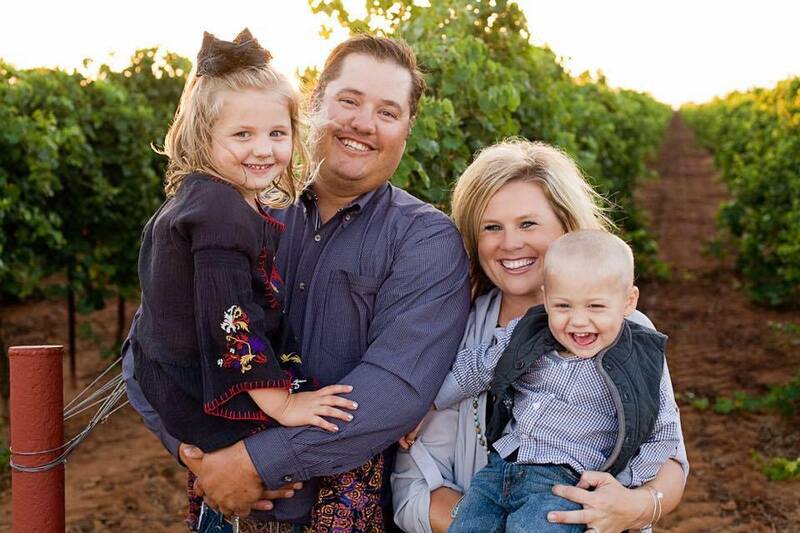 The Furgeson’s were blessed with a daughter, now 5 years old, and a son, now 3 years old, and were excited to share their passion for agriculture with them. They would soon learn that visiting dad in the field wouldn’t be so simple. Traci said she noticed her daughter, Landri, had eczema when she was around six weeks old. As a first time mother, Traci never considered it could be food allergies as peanuts were a way of life in their family. Things started to change when Landri would break out in hives from head to toe after visiting her dad in the field. After visiting a dermatologist, the family was referred to to a local allergy specialist. The family learned their life was going to change when Landri was diagnosed with a severe peanut allergy at just seven months old. From then on out, the Furgeson family had to get creative in the way they handled their farming lives with the safety of their daughter. Throughout the peanut season, Anthony would shed all of his clothing that was needed out in the field and leave it in the garage to avoid getting peanut dust into the house. Then, he would immediately rush to the shower before coming in contact with any of his family members. Although not the easiest solution, this did help Anthony be able to hold and play with his daughter without endangering her. The Furgeson’s found some safety in this method, but still wanted Landri to be apart of their family farming practices without being isolated. Traci began her research and was recommended by their allergy specialist to begin Oral Immunotherapy. However, the catch was that this treatment would take them to San Antonio, Texas, over 400 miles from the Furgeson’s home. Oral Immunotherapy (OIT) is a medical treatment in which the immune system is re-trained to tolerate food proteins/allergens through regular eating of small amounts of food. This treatment is not yet FDA approved as it is not a cure for food allergies, but rather a treatment to introduce the allergen foods into diets very slowly and controlled. Do not try this treatment at home. Talk to your doctor before considering OIT to learn more about the risks and benefits of the treatment. After a lot of thought, Traci knew that making the drive to San Antonio each week would be worth it for her daughter’s safety. Landri had a positive attitude about the treatment. “God made me the way I am. Let’s get better,” Landri said. Just like that, the Furgeson’s were putting faith over fear and began the treatments with Dr. Dinger in San Antonio every Monday. The treatments began with microdoses of peanut flour. 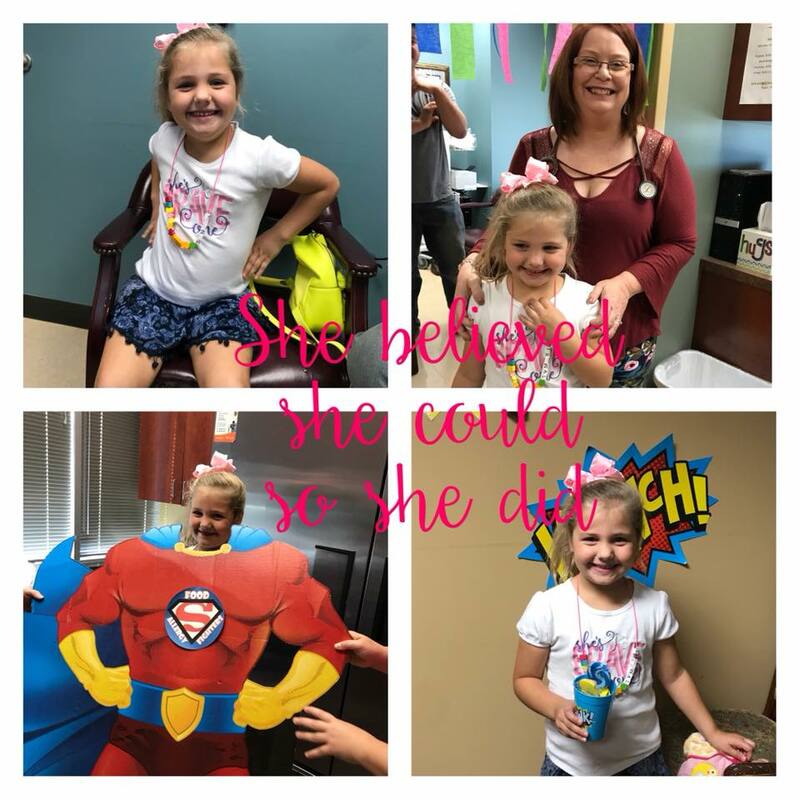 Landri and her mother waited in the clinic for 8 hours on their first treatment visit to ensure Landri would not have a dangerous allergic reaction. After positive results, the waiting time in the clinic would go down to only 2 hours each treatment, still ensuring Landri’s safety before sending her home. After she was clear, she would take home equivalent daily doses that would be given throughout the week until she returned the next Monday. Traci said there were a couple of scares throughout the at-home treatments, but they were thankful to not have any emergency room visits throughout the time of the six-month OIT program. Slowly and carefully, Landri would continue to up her dosage of peanut flour, then move on to milligrams of peanut powder, leading all the way to eating her first whole peanut. In order to graduate from the program, Landri would have to eat 24 peanuts. After a few sick days that would pause treatments, 25 visits to San Antonio. and over 20,000 miles riding in the car, Landri graduated from OIT in October of 2017. Landri is able to eat peanuts safely, but will need to continue to eat peanuts in order to ensure her immune system will tolerate the newly introduced proteins. The Furgeson’s can now enjoy PB&J’s together and are very thankful for the positive attitude of Landri who fought through the long journey. The family does not have to worry about Landri, now in Kindergarten, being exposed to peanuts at school and having an allergic reaction. To follow along with their story and others going through this treatment, use #OITWorks on Facebook.